• the point in the orbit of the moon or a satellite at which it is furthest from the earth. 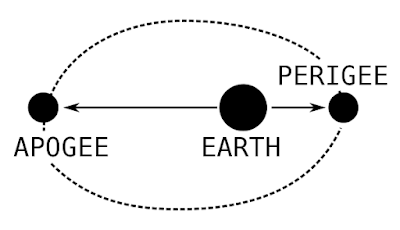 The opposite of perigee . • figurative the highest point in the development of something; the climax or culmination of something. APOGEE... the furthest distance... and so a paradigm is defined, reaching the light, going the distance, holding to a distant quest. The moon is presently at APOGEE. This connect, this accord, this resonance with the APOGEE Moon is ever so strong. The metaphor that inspired the APOGEE as my life's work, resounds with the distant light... the quest made real. A sigh and the movement of breath becomes ever so real, a word spoken and awakened are thoughts and perceptions, a sound heard and alerted is the body, the mind, the spirit, pulsing, vibrating, sounding, sounding, sounding, inner movements, cells in communication, flow, organs in response, dissonance, resonance, harmony, entrainment, adjustment, alignment, assimilation, accord, pulsing, vibrating, sounding sounding sounding, this the body attuned, this the APOGEE known.